The annual PetQuip Awards are open to suppliers, retailers and wholesalers who can nominate themselves or be nominated by others, entry is completely free of charge in any of the categories. Entries usually close at the end of June and are independently judged. The winners are announced at the PetQuip Awards Party held on the first night of PATS Telford. PetQuip members can attend the party at discounted rates. This directory of PetQuip members is distributed to both UK and international trade buyers throughout the year ensuring publicity for members worldwide. Published annually, members receive a free address and logo listing and appear in the product listings section. Whether you have just started up in business or you have been trading successfully and need to take the next steps for expansion, our service can help. We have negotiated special advice packages for our members with a leading business consultant. Dealing with employees and making sure you are adhering to employment legislation can be a minefield. Our service offers you the opportunity to work with HR specialists to produce appointment letters, employment contracts and how to formulate a legal company HR policy. We have negotiated special member rates for one off consultations or monthly assistance. PetQuip members receive a free employment law health check of their current HR materials. Member company and product details feature on the multi-lingual website www.petquip.com which also contains links to members’ websites. Administered by PetQuip, this provides a straightforward way for members to produce evidence of when a design was created. In addition to a 12.5% discount at Glee, PetQuip also negotiates discounts or special packages at other UK and overseas trade shows. See Gardenex & PetQuip News or PetQuip Bulletins for details. The quarterly publication for members includes international retail news, profiles of UK & overseas retailers and details of events /opportunities for members. Designed by chartered patent attorneys Chapman & Co specifically to meet the needs of our members, this service offers a free, one hour Intellectual Property (IP) audit to check that all IP that can protected has been protected. Members also receive 30 minutes free advice per issue and a 20% discount on fees for preparing and filing design and trade mark applications. We regularly invite trade buyers to the UK and arrange a day of one to one meetings. Alongside these we quite often organise workshops and seminars on various business/export topics giving participants a full day of fact finding and networking. Members receive discounted rates. For free information about all business issues such as employment law, contract and company law, laws governing marketing, taxation and health & safety call Law Express and quote your PetQuip membership number. A comprehensive manual available exclusively to members. If you are UK VAT registered you can potentially reclaim VAT paid for overseas exhibition costs including meals, hotels, transport and entertainment either by using an agent or by claiming yourself via an electronic system. Both methods can be time consuming and complicated which is why PetQuip have negotiated discounted fees with a reputable agent who understands PetQuip member businesses. Agents can traditionally charge anything from 15% to 30%, PetQuip members pay 12% of VAT reclaimed. The PetQuip buyer database holds thousands of company records detailing information, by market, on retailers, agents, distributors, wholesalers and much more. PetQuip members have exclusive access and can order records in country/buyer type sets from the database at 75p each plus VAT. The PetQuip Team are available throughout the year to help with any export queries. We also issue bulletins containing information on current exporting issues and provide signposting to other relevant organisations where necessary. 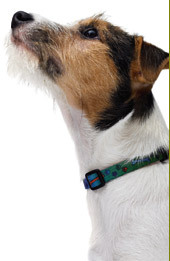 When you join PetQuip you receive a free consultation session at our offices in Brasted. This allows you to see the services we offer and helps us to help you plan your export strategy or help with other business queries you may have. During the year, if members are interested in particular markets around the world, the PetQuip team can organise and lead group visits to enable participants to collect market and buyer information. Where exporters are unable to visit a market themselves, PetQuip can explore a market on your behalf and provide a brief report on the market opportunities for your products. Potential market visits are flagged up in Gardenex & PetQuip News or PetQuip Bulletins. PetQuip employs a PR consultant who disseminates press releases about PetQuip members and their products to both UK and international pet publications, usually around the time of shows. of organisational support, pre-show promotion to international buyers, expert help and advice in the run-up to and at the event, valuable follow-up sales leads and post show pr. There are a range of discounted fees for PetQuip members. The PetQuip logo is seen as a mark of expert professionalism by overseas buyers. By being a member and using this logo you are viewed as a company worth doing business with from a worldwide point of view. PetQuip members are welcome to use this facility. We hold information on the worldwide pet sector, market reports, trade magazines, show catalogues and	trade directories. Leads are gained from all over the world via our market visits, participation at international trade shows, through our website and enquiries received direct from buyers. These are all passed on to our members.